If yesterday’s lot of iPhone-related leaks and rumors wasn’t enough, here is some more to add to in that list. After some failed predictions by KGI Securities’s Ming-chi Kuo about earlier launch of next-gen iPhones in August, here is another research firm coming in the line of iPhone rumors too. While we always take these rumors and predictions with a high level of doubt and some suspicion, but some of them – especially ones coming closer to the launch dates – do give us a clear picture of the next-gen smartphones. Last year, it was Kuo who had given us enough predictions about the iPhone 6 Plus that it didn’t surprise us at all when it was launched. Faster and increased RAM: the leading research firm reveals that Apple will install twice as much RAM in this year’s iPhone duo as compared to last year’s. RAM will also be faster this year moving from LPDDR3 to faster LPDDR4 built on 20nm or 25nm manufacturing process. Increased phone memory: not only RAM, but storage capacity will also an increase with 32GB being the minimum storage capacity. Yep, no more 16GB option. Thinner LED backlight: reduced in size, the LED backlight module will allow the iPhone to be thinner than before. Japanese suppliers will be responsible for this as before. 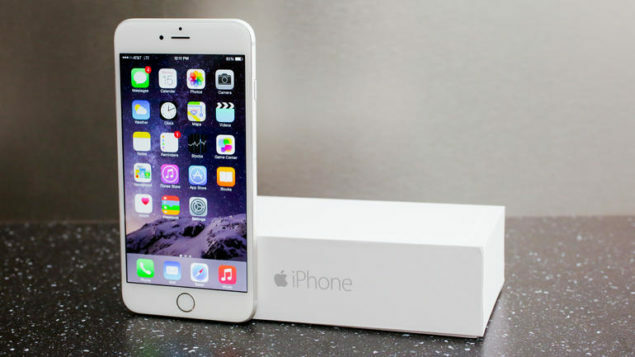 Shipments: firm claims that new iPhone models will enter mass production this June ahead of the third-quarter launch. Apple aims to surpass over 50 million shipments by the fourth quarter. So back to the important and more likely features out of this report. The first of these points talks about increased RAM memory. Cupertino phone maker is expected to install at least 2GB of RAM matching with the iPad Air 2. The faster LPDDR4 RAM will be supplied by Samsung and SK Hynix. One of the most important and possibly a feature getting most support from all corners is the Force Touch technology. Following the feature in Apple Watch and the new MacBook, analysts have high hopes of Apple integrating the feature in next-gen iPhone duo’s display too. The pressure-sensitive touch module will extend the functionality responding to different pressure levels. Remember, that Force Touch will have developers customize their apps to respond to different pressures and help Apple extend the functionality in the long run. Analog Devices of US is expected to supply with the component and integrated controllers with Apple taking up the design and implementation phase. Do you like some of these new additions in the list of iPhone 6s features? We would find it wonderful to have Force Touch on our next-gen iPhone! What about you?